On November 17, 2018, about 1243 central standard time, a Vans RV-12, N232VA, was substantially damaged when it impacted trees and terrain during initial climb from Ruckel Airport (FL17), Niceville, Florida. The flight instructor, who was also the owner of the airplane was fatally injured, and the student pilot sustained serious injuries. Visual meteorological conditions prevailed, and no flight plan was filed for the local instructional flight. The flight was conducted under the provisions of Title 14 Code of Federal Regulations Part 91. The accident airplane was one of two RV-12 airplanes that were operated by a flight school. 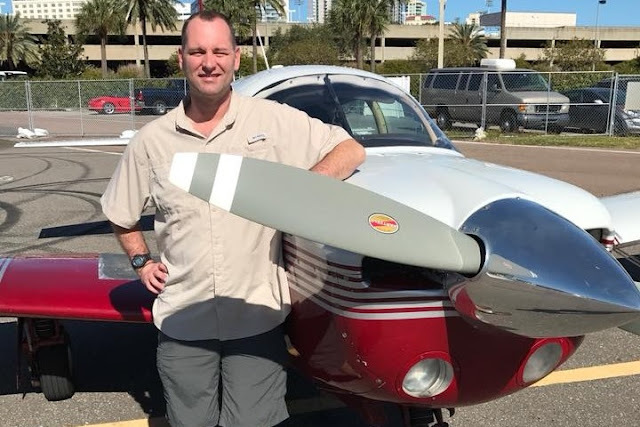 Another flight instructor reported that when he returned from an instructional flight earlier on the day of the accident, he was told by the owner, that the 100-hour inspection was completed on the accident airplane. The flight instructor subsequently departed in the accident airplane with another student pilot; however, during initial climb, at 400 ft, the engine rpm was lower than normal and at 500 ft, the engine momentary lost power. The flight instructor made a 180° turn and landed the airplane back at the airport. The owner and flight instructor then performed a visual inspection of the airplane and could not find any anomalies. The owner stated that the problem was likely "vapor lock," which the airplane had experienced in the past. The owner told the flight instructor to let the engine cool down and he would take the airplane for a flight later in the day with his own student pilot. Two hours later, the owner and another student pilot departed on the accident flight. Several witnesses, who lived across the street from the runway, stated they watched the airplane takeoff and when it was just over the tree tops, the airplane made a sharp turn to the left like it was trying to turn around and land at the airport. They stated the airplane's wings leveled just before it hit the tree tops. They added the engine was running "very loud." The wreckage was located about 150 ft from the left side of the departure end of runway 36. Tree branches were observed broken descending about a 15° angle and extending approximately 50 ft on a magnetic heading of 270° to the main wreckage. The main wreckage came to rest inverted. All major components of the airplane were accounted for at the scene. Control cable continuity was confirmed to the respective controls. Tree impressions were found along the leading edges of both wings, and about 3 ft of the right-wing tip was found about 150 ft to the east of the main wreckage One propeller blade was fractured from the hub. A Dynon SkyView avionics system was removed and forwarded to the National Transportation Safety Board vehicle recorders laboratory for data download. The two seat, low-wing, tricycle gear airplane, was manufactured in 2013. It was powered by a Rotax 912ULS, 81-horsepower engine, equipped with a two-bladed Sensenich propeller. The most recent 100-hour inspection was completed on the morning of the accident by the owner, but the owner had not recorded any endorsements in the airplane's logbooks prior to the accident flight. The previous 100-hour inspection that was completed on September 14, 2018. At that time, the airframe and engine had 389 total hours of operation. The flight instructor/owner held an air transport pilot certificate, with a rating for airplane multi-engine land. He held a commercial pilot certificate with ratings for airplane single-engine land and airplane single-engine sea. He also held a flight instructor certificate with ratings for airplane single-engine, airplane multiengine, and instrument airplane. His most recent Federal Aviation Administration first class medical certificate was issued on August 23, 2018. He reported 2,348 total hours of flight experience at that time. The wreckage was retained for further investigation. We lost Chris "Hook" Dupin on November 17th, 2018 doing what he loved, flying. It was a sudden and tragic loss that has been felt by many across the world. Chris is survived by his wife, mother, father, brother and two dogs. Funds donated with go toward memorial expenses and will assist Chris's wife April and his family in this extremely difficult transition. 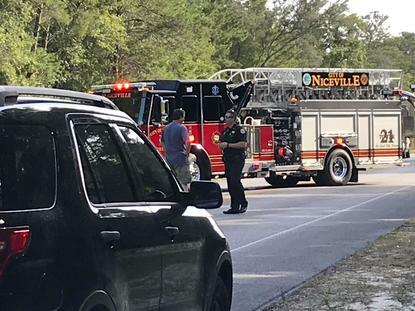 NICEVILLE — The person who died in the Saturday afternoon crash of a small airplane between Forest Road and Rocky Bayou Country Club has been identified as 38-year-old Christopher Dupin of Niceville, whom Federal Aviation Administration records identify as a co-owner of the downed aircraft. Injured in the crash was 51-year-old Dr. Rafael Mollega, a local eye doctor, also of Niceville. Mollega was aboard the Van’s Aircraft RV-12, a two-seat, single-engine airplane available either in kit form or as a fully assembled aircraft from its Oregon manufacturer. Dupin’s Facebook page lists him as manager of Gulf Coast Aero Adventures, a flight school based out of his Niceville home that uses nearby Ruckel Airfield as its base of operations. A message left at the business’s telephone number was not immediately returned Monday. 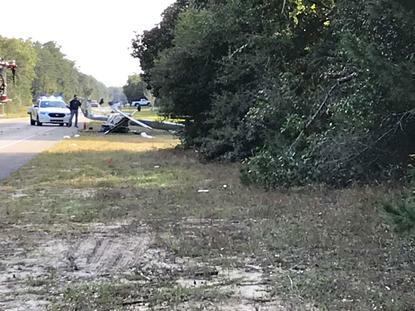 The Okaloosa County Sheriff’s Office was called to the scene shortly before 1 p.m. Saturday, and first responders discovered the plane upside down in a roadway. Both men were alive at the scene and were taken to Fort Walton Beach Medical Center. Dupin died later Saturday afternoon, according to the Okaloosa County Sheriff’s Office. Mollega was listed in stable condition at FWBMC on Monday, according to hospital spokeswoman Denise Kendust. Early indications are that the plane had left Ruckel Airfield, a private airport east of Forest Road, just prior to the crash. On the basis of debris found in the roadway, authorities speculated Saturday that the plane hit some trees before striking the ground. Gary Wood, a nearby resident, said he got a call from his neighbor “in hysterics” after she saw the crash. Wood ran to the scene with a fire extinguisher to help extinguish a smoking wing. A doctor playing golf nearby also ran to help. One of the men aboard the aircraft reportedly was handed a knife to cut himself out of the seat belt to escape, Wood said. Firefighters removed the plane’s battery to prevent further risk of fire from a minor fuel leak. A Federal Aviation Administration crash scene investigator was summoned to the scene Saturday, but was delayed by investigation of a helicopter crash in Alabama. NICEVILLE, Fla. (WEAR) — One person has died and another is undergoing treatment at Fort Walton Beach Medical Center after a small private aircraft crashed on Forest Road near Niceville Saturday afternoon. 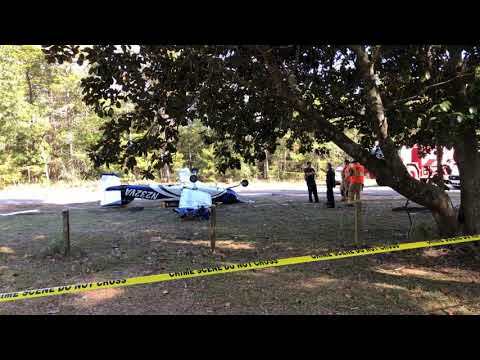 The call of a two-seat airplane down between Jason Drive and Golf Course Drive came in just before 12:45 p.m. According to the Okaloosa County Sheriff’s Office (OCS), two people were removed from the aircraft and taken to a hospital where one died shortly before 4 p.m.
OCSO said the plane is believed to have gone down shortly after taking off from nearby Ruckel Airport. 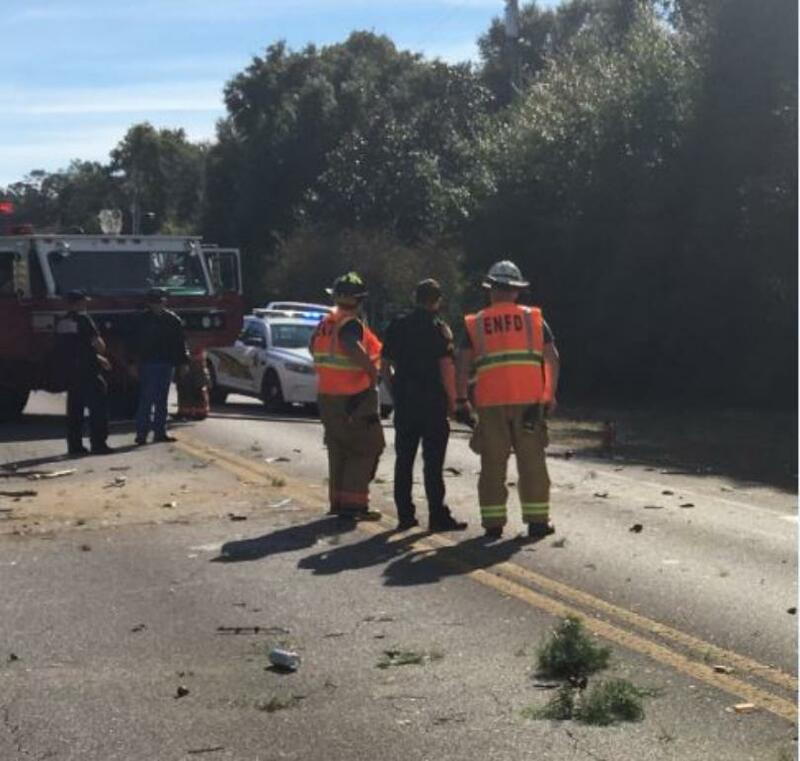 One person has died and another is undergoing treatment at Fort Walton Beach Medical Center following the crash of a small private aircraft on Forest Road near Niceville this afternoon. 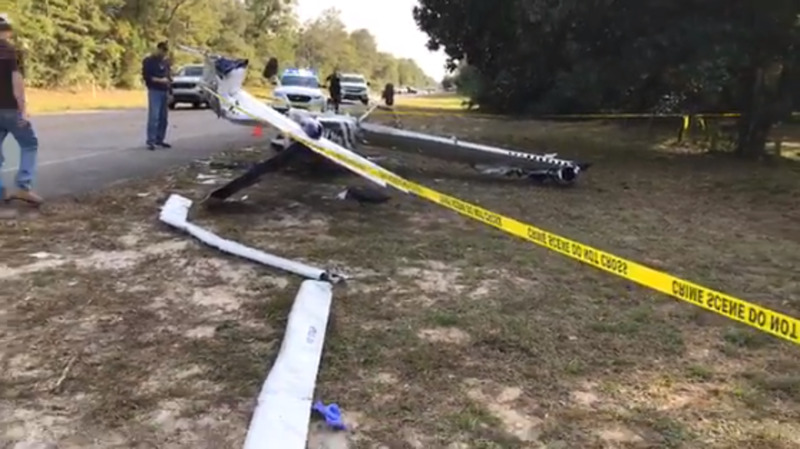 The call of a two seat airplane down between Jason Drive and Golf Course Drive near Rocky Bayou came in around 12:43 p.m.
Two people were removed from the aircraft and taken to Fort Walton Beach Medical Center where one died just before four p.m. The plane is believed to have gone down shortly after taking off from nearby Ruckel Airport. 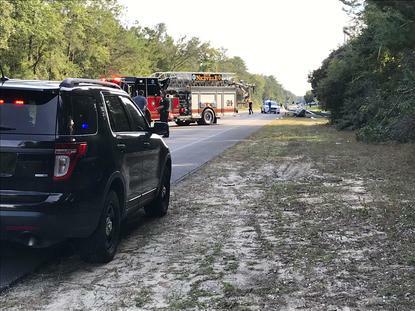 NICEVILLE, Fla. (WKRG) - Okaloosa County Sheriff's Office deputies say, one person has died and another is undergoing treatment at Fort Walton Beach Medical Center following the crash of a small private aircraft on Forest Road near Niceville this afternoon. Deputies say, the call of a two-seat airplane down between Jason Drive and Golf Course Drive near Rocky Bayou came in around 12:43 p.m.
Two people were removed from the aircraft and taken to Fort Walton Beach Medical Center where one died shortly before four p.m.
Cirrus= lots and lots of dead pilots. Yes and Cirrus has that fantastic ballistic parachute recovery system. Go figure. The cirrus parachute wouldn’t have helped here. Looks like they were well under 1,000 feet when their engine cut out. Suprised there wasn’t a fire. Google other RV-12 accidents on this sight. When I saw location of fuel tanks, I turned down a ride in one that one of my friends built but later sold. Reminded me of how Wing tanks help make aviation safer. I have a friend who was burned very badly on a J-3 that crashed with minor damaged but with a ruptured tank in his lap. Biplanes also generally have cowl tanks. Better dress for the occasion. My garage-built RV is as safe as - if not more so - than any other. Many of the accidents involving RVs would have occurred even if the owner/pilot was flying another type of aircraft at the time of the incident. John, does your RV have a fuel tank inside of the cockpit and behind the back seat? I think the RV’s with wing tanks would be safer. That appears to be point of the previous post. Your right about pilot error. But design does have an effect on safety. Look at auto racing which has really improved their safety record. No, I have an RV-7A w/fuel in wings. I was just responding to: Van's = dead pilots. This site is literally accidents, many of them fatal, and this guy is singling out Vans. Anyhow, Vans did upgrade the fuel tanks on the 12, I haven't heard of any incidents of them rupturing in the 12.
the wings are removable in the 12, I'm assuming that's the reason for the center tank. Three recent off this wed site. I know there are a couple of others. Don’t know if anyone survived fire and likely could have been killed on impact. N276va “This was not on fire in the air. It exploded into flames once it made contact with the ground,” said Corporal Davaughn Parker, Maryland State Trooper. 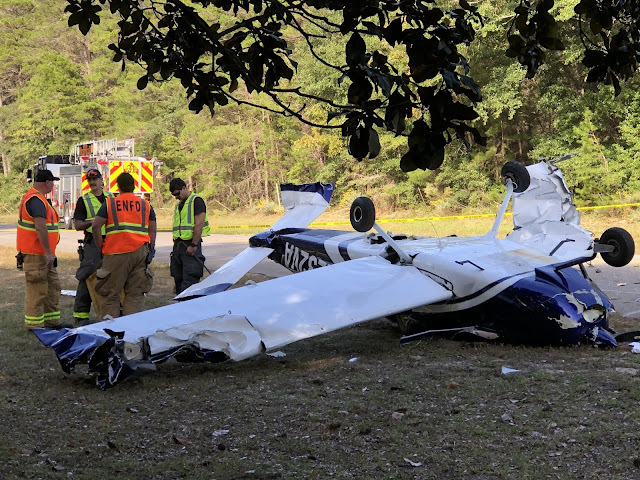 N212zf.” Accordin"(He) hit the ground after reaching only a couple hundred feet in the air," Northern Rivers Aero Club chief flying instructor Bill Kiernan said. "If you can imagine a head-on car crash, it's similar." I actually appreciate all off the comments and although some appear to disparage RV'S in general, they have been a good for aviation and obviously very successful. I have never built or owned one, but have been checked out in a RV 4 and 8. You can hardly fault these designs. I have learned that it’s all about the builder and subsequent owner and how they care for thier RV or any brand aircraft, experimental or standard. What type of fuel was used in the RV12 SLSA? If you look at enough accidents on this site you might decide to quit flying altogether. As we all know any type of motion involves risk, case in point walking with a cell phone has killed many people because they where txting and crossing a street and not looking and then got hit by car or fell of a cliff. There is no perfect airplane, each one has its own design limitations and associated risk that goes with it. Yes a RV-12 can kill you but so can your cell phone if you don't use it correctly.